The vast Deccan Plateau straddles a core area of central India. 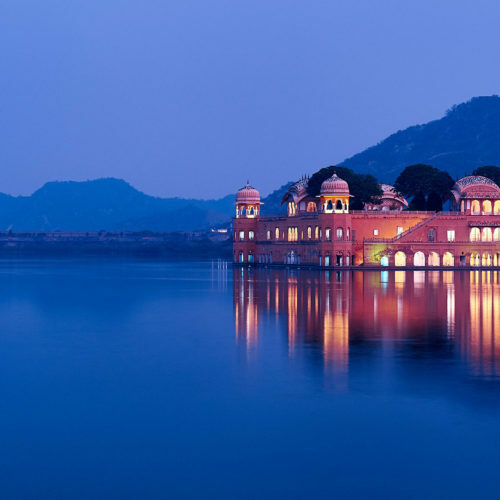 Having been the scene of countless battles, it has seen some of India's most remarkable empires flourish and decline. The rich architectural legacies of these mighty dynasties still remain today and are explored during the course of this journey which travels north-south across the heart of The Deccan. 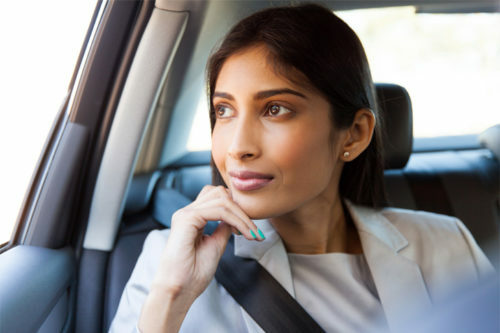 Begin in Aurangabad at the Ajanta and Ellora caves. See the exceptional palaces of Hyderabad’s Nizams before visiting the remains of the great Vijayanagar capital at Hampi. 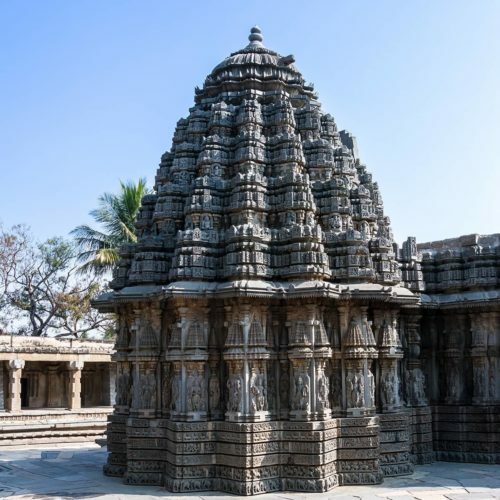 Continue to the beautiful early Hoysala temples at Belur and Halebid prior to exploring Karnataka’s second largest city - Mysore where there is a treasure trove of monuments. 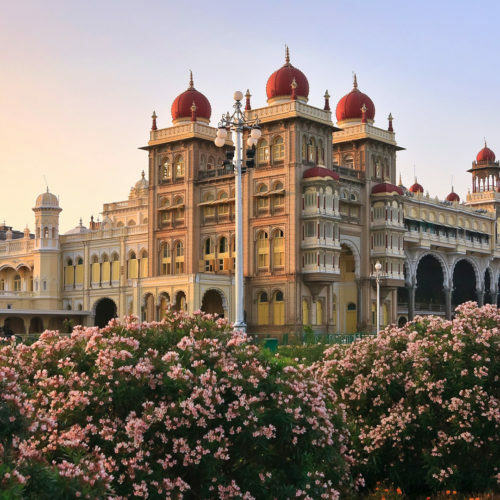 All very different, they range from the Hoysala and Vijayanagar periods, through Tipu Sultan’s era, and culminate in the resplendent, Indo-Saracenic City Palace. On arrival stay at the Taj Lands End hotel. Day at leisure. Spend the day at the Ajanta caves adorned with Buddhist sculptures and frescoes. Fly to Mumbai and then to Hyderabad for a 2 night stay at the majestic Taj Falaknuma Palace Hotel. Visit Hyderabad’s stunning sites, the Charminar, and Mecca Masjid and Salarjung Museum. Also drive out to the mighty Golconda Fort. Full days drive to Hospeti. On arrival stay at The Royal Orchid Central Kireeti Hotel. 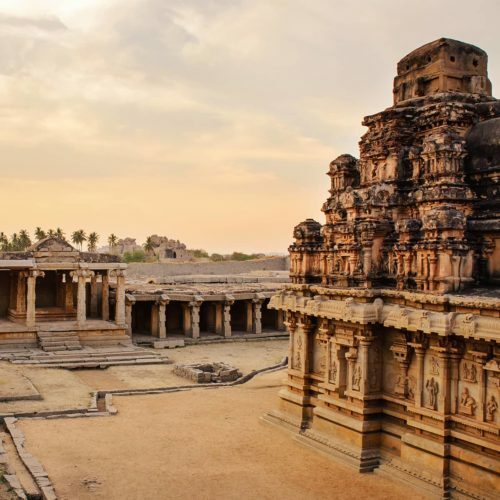 Explore the ruins of Hampi, once one of the largest Hindu empires in the world. Board a private coracle and cross the Tungabhadra River seeing more of the ruins and aqueducts. Today is spent seeing more of Hampi's exceptional ruins, including the carvings on the Ramachandra temple and Lotus Mahal. A full days drive to the southern tip of the Deccan Plateau, arriving Chikmagalurand for a 2 night stay at The Gateway Hotel K M Road. Excursion to the fascinating early Hoysala temples at Belur and nearby Halebid. Continue southward to the 'Sandal wood' city of Mysore. En route visit the impressive hilltop monolithic statue at Sravanbelagola. Stay 2 nights at Radisson Blu Plaza Hotel. 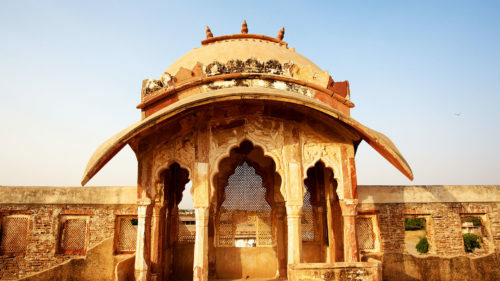 A morning tour vists the ornate city palace and the top of Chaumundi Hill for panoramic views of the city. Stop to see Nandi Bull before returning to the city. Afternoon visit to the Hoysala Temple at Somnathpur. This morning drive to nearby Srirangapatnam which boasts the ruins of Tipu Sultan's summer palace. Continue to the bustling city of Bengaluru and stay 2 nights at the Taj West End hotel. Morning exploration of 'the Garden City'. Afternoon at leisure.